Most of the textual information on this page was taken from the chapter on Gabon in the report ‘Groundwater in Eastern, Central and Southern Africa’ (UN 1989). This information is outdated. 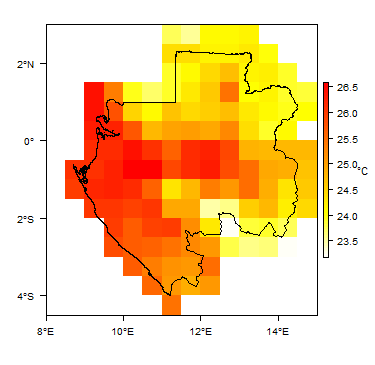 If you have more recent information on the hydrogeology of Gabon, please get in touch. The area present day Gabon was historically inhabited by Pygmy and then Bantu peoples. It was colonised by France in 1885. After independence in 1960, the country saw three decades of relatively stability under a largely one party system, despite an attempted military coup in 1964. In 1990, civil and political unrest and two attempted coups preceded a change towards multi party democracy, but in the years since there have been periodic episodes of unrest and disputed elections often marred by violence. The country’s second president ruled for 42 years until his death in 2009, handing power to his son. Oil revenues have underpinned Gabon’s economy since the early 1970s. Timber logging, which dominated the economy before this, and manganese mining are also important contributors today. Gabon is fairly highly urbanised, and the oil industry has attracted high numbers of migrant workers. Yet despite a high GDP from those oil revenues, Gabon’s economy is unbalanced, with wealth concentrated in the hands of a few. Overspending on the Trans-Gabon railway project between 1974 and 1986, and poor debt management, soured relations with international donors. Despite progress in the transport sector, other infrastructure, including water, remains underdeveloped, and hampers efforts to develop other economic sectors such as agriculture and tourism. 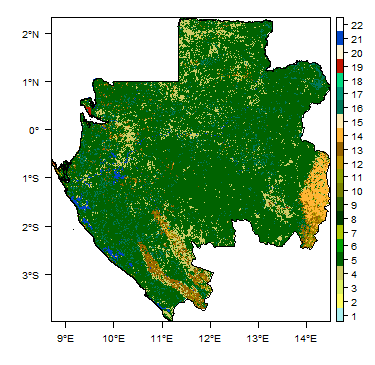 With high total rainfall, surface water resources in Gabon are relatively abundant, but their seasonally unequal distribution means that groundwater is widely used for domestic water supplies in both rural and urban areas. Water pollution, particularly in urban areas and from the oil industry, is a significant issue. Gabon lies on the equator. It has a coastline of about 800 km in the west, onto the Gulf of Guinea. Much of the country is quite flat, including plains and plateaus of the coastal basin, which are all less than 250 m elevation. Inland are some higher plateaus, including a chain of mountains running northwest-southeast that rise to nearly 1000 m; crystalline plateaus in the northeast; and the Bateke plateaus in the southeast. Gabon has a wet equatorial climate. Annual rainfall is highest in the northwest, at more than 3000 mm, falling towards the east and southeast to around 1500 mm. There are two rainy seasons, from September to mid December, and mid February to May, separated by a long dry season (June to September) and a short dry season (December to February). Temperatures are high throughout the year, declining slightly from the north towards the east and south. 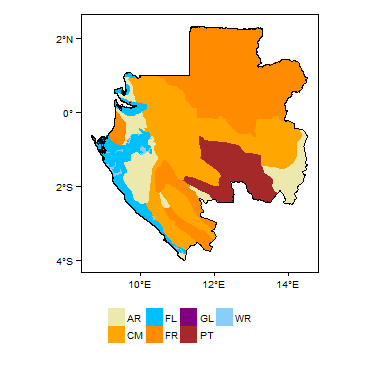 More information on average rainfall and temperature for each of the climate zones in Gabon can be seen at the Gabon climate page. The main river in Gabon is the Ogooué, which drains over 70% of the country, as well as parts of Cameroon and the Republic of the Congo. Its main tributaries are the Ivindo, in northeast Gabon, and the Ngounié. The second largest river is the Nyanga. There are also several coastal rivers, including the Mbéi and the Komo. There are a number of major dams on the larger rivers. Most of the rivers are perennial. Monitoring of river flows shows relatively constant flow patterns throughout the year. Much of the country is covered by equatorial forest. This section provides a summary of the geology of Gabon. Unconsolidated sediments Quaternary These sediments include coastal sand belts and fluvial alluvium in river valleys, overlying bedrock. They are not shown on the geological map, but can be important local aquifers, in particular the coastal sands (see Hydrogeology section, below). Bateké plateau Tertiary This plateau in southeast Gabon consists of continental sandstones and sands that unconformably overlie Precambrian Francevillian formations. Coastal sedimentary basin Upper Palaeozoic to Mid Cretaceous (interior basin); Cretaceous to Tertiary (Atlantic/western basin) This basin is divided in two by the Lambarené crystalline horst structure. The interior synclinal basin (200 x 60 km) contains up to 3500 m thickness of older fluvio-lacustrine and lagoonal continental formations: sandstone, marl, clay, shale and conglomerate. The Atlantic, or western, basin (500 x 15 to 200 km) contains up to 8000 m of younger marine formations: carbonate-rich sandstone, argillite and detrital deposits. Mpioka, schist-limestone, Louila and Bouenza series Upper Precambrian These series occur within the Nyanga syncline. The Mpioka series forms the core of the Nyanga syncline and includes schists, sandstone schists and argillites. The schist-limestone series occurs in the plain within the circumfrence of the Nyanga syncline, and consists of limestones, dolomites and marls with frequent karstic features. There is a lateritic cover which can be up to 30 m thick. The Louila and Bouenza series crop out at the edge of the schist-limestone series, the Louila on the west and the Bouenza on the east. They include sandstones and quartzitic sandstones, schists and argillites, and intermediate rocks. Francivillian system (also Mayombian and Ogooué systems) Middle Precambrian The Francivillain system in southeast Gabon includes five formations, which contain deposits of detrital uranium (conglomerate, sandstone, pelite, jasper and pyroclastic deposits). The Ogooué system in central Gabon contains volcano-sedimentary and metamorphic formations. The Mayombian system in southwest Gabon contains conglomerate, arkose, quartzite and carbonate-rich schist. This middle series at the eastern edge of the Lower Precambrian Mayombe range (see below) also contains meta-sedimentary rocks. Crystalline basement Lower Precambrian This system comprises the North Gabon massif, the Chaillu massif and the Mayombe range. They comprise largely granites. The Mayombe range contains migmatites, granitogneiss, quartzites, mica schists and complex metamorphic rocks. 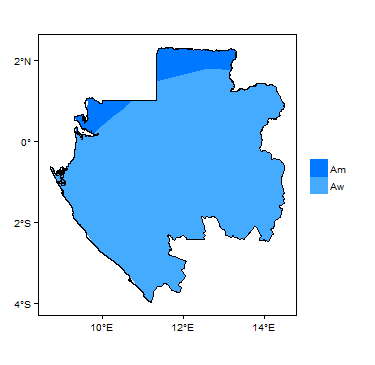 This section provides a summary of the hydrogeology of the main aquifers in Gabon. 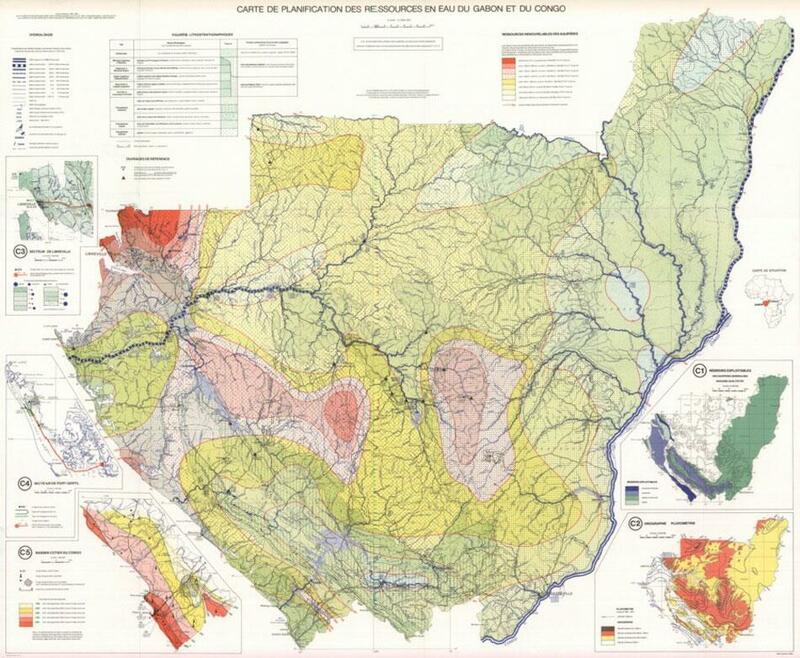 A map of water resources in the Republic of Congo and Gabon at 1:1,000,000 scale was published by BRGM/CIEH (1982), with an accompanying report. The Atlantic coastal basin, Bateké plateau and Upper Precambrian meta-sedimentary sequence form important aquifers in Gabon. Within the metamorphic and granitic Middle and Lower Precambrian basement rocks, there are only small, isolated aquifers. The upper layers of the hard rocks are generally weathered and altered, mostly to laterite, to depths of up to 30 m (thickest in the limestone series), and possibly thicker in granite areas. These altered layers, in particular laterites, form low productivity shallow aquifers that feed perennial springs, but which have very low flows in the dry season. With a typically low mineral content, these shallow groundwater resources are widely used nationally for traditional supplies, but they typically have high sediment content and high vulnerability to contamination, and are not widely targeted for improved supplies. Sand belts Quaternary The coastal sand belts form an aquifer recharged by direct rainfall infiltration. The aquifer is 25 m thick at Port Gentil. Transmissivity values range from 50 to 350 m²/day, with specific capacity values of between 50 and 75 m³/day/m - or borehole yields on the order of 2 to 3.5 m³/hour per metre of drawdown. In some places freshwater fills the whole thickness of the aquifer; in others, it rests as a freshwater lens over salt water. Generally low mineral content (TDS 50 to 250 mg/l), and calcium bicarbonate to calcium/sodium chloride types. Often rich in organic matter and with high iron concentrations of up to 20 to 35 mg/l. In Port Gentil in 1974, despite production of 8000 m³/day, no sea water intrusion was observed. 'Cirques' series: Akosso (Pliocene) and N'Tchengue (Upper Miocene) Tertiary In the Mayumba region, boreholes tap the Pliocene sand strata at depths of up to 40 m and specific capacity values of 20 to 85 m³/day/m. Generally calcium bicarbonate type and not highly mineralised. Bateké plateaus Tertiary The soft sandstones with clay intercalations form a large, permeable aquifer. There is high direct recharge from rainfall - estimated at over 900 mm/year. The aquifer is drained by rivers flowing in steep sided valleys, which have low surface water flows, indicating high rates of groundwater flow of up to 2000 to 2500 m²/day/km². Boreholes 100 m deep have shown sandstones at depths of 50 to 70 m with transmissivity values of around 70 m²/day, and specific capacity values of 15 to 240 m³/day/m. Typically low mineral content, with total dissolved solids of around 40 mg/l, and low pH of around 5. Komadji series (Maastrichtian to Senonian); Sibang and Azilé series (Turonian); Red and Cap Lopez series (Cenomanian); Madiela series (Upper Albian to Upper Aptian) Cretaceous: Maastrichtian to Upper Aptian The upper Cretaceous series includes a wide range of sedimentary facies, including clays, marls, sandy marls and marly sandstones, argillaceous sandstones, calcareous sandstones, limestones, dolomites and possibly gypsum. These have variable groundwater potential depending on their lithology. The sandstones of the Komadji series show a transmissivity value of around 10 m²/day and specific capacity of around 1 to 5 m³/day/m. Limestones in the series can be karstic and may have significantly higher groundwater potential. Limestones and sandstones of the Siband and Azilé series are at least 500 m thick below Libreville. They have specific capacity values of around 30 m³/day/m and transmissivity values of around 90 m²/day. The Red and Cap Lopez series are generally marly to sandy marl. Lagoonal strata can have a high gypsum content. The formations appear to have low permeability and groundwater potential. Sandstones, limestones and dolomites of the Madiela series appear to have low to moderate permeability. Boreholes 70 to 100 m deep had transmissivity values of around 6 to 8 m²/day. Groundwater in the Komadji series typically has total dissolved solids of less than 300 mg/l. Groundwater in the Sibang and Azilé series is typically of sodium carbonate type, to sodium bicarbonate and sulphate. Total dissolved solids increase with depth: 200 to 300 mg/l down to 150 m depth, and 450 to 700 mg/l or greater at greater depths. Sulphate concentrations increase at depth, where this series overlies the older Cenomanian series which contains significant gypsum. Water in the lower Sibang series has a high fluoride concentration of up to 1.2 mg/l, related to phosphated strata. Groundwater in the Madiela series has a total dissolved solids of 300 to 450 mg/l, and is of calcium carbonate type. Vembo Shales; Gamba series; Remboué series; Kango series Cretaceous: Upper Aptian to Neocomian The Vembo shales are at least 110 m deep near Cocobeach, but are thought to have low permeability, with a recorded borehole yield of 5 m³/day. Sandstones at least 175 m thick of the Gamba series have been identified below 25 to 50 m of Vembo Shales north of Ntoum, forming a confined aquifer with artesian groundwater levels in the lowest lying areas. Boreholes that tapped only the top 10 m of the series had a specific capacity of 10 m³/day/m. Little is known of the groundwater potential of the Remboué series. Sandstones within the predominantly marl sequence may have potential. The marly deposits of the Kango series are likely to have very low groundwater potential. Groundwater in the Gamba series is of calcium and magnesium bicarbonate type. Ndombo series; Mvone series; Agaoula series Upper Jurassic to Permian The Ndombo series forms a permeable fine-grained sandstone aquifer with conglomeratic intercalations. The highest groundwater potential is in the conglomerate strata and fractured zones. A specific capacity of around 22 m³/day/m and transmissivity of around 20 m²/day has been recorded. To achieve optimal productivity, boreholes need to be quite deep in order to penetrate the conglomeratic strata and/or a sufficient number of fractures. The aquifer receives abundant direct rainfall recharge. Southeast of Cocobeach, the sandstone aquifer becomes confined below Vembo Shales, and artesian conditions occur. Occasionally, artesian conditions of at least 5 m head also occur in the low areas of the plain, where the sandstone aquifer is overlain by tens of metres of clay. Little is known of the groundwater potential of the Mvone and Agaoula series. Coarse grained conglomeratic sandstones in the Mvone series may have good potential, but the sandstone-marl of the Agoula series is likely to have low permeability. Groundwater in the Ndombo series has a low mineral content (total dissolved solids of around 70 mg/l) and pH of around 6, and is of calcium bicarbonate type. Mpioka series; Schist-limestone series; Louila and Bouenza series Upper Precambrian The metamorphic schists, sandstone schists and argillites of the Mpioka series form a low productivity regional aquifer, in which permeability is controlled by the degree of fracturing. The highest yields are found in fractured sandstones. Average specific capacity values for schists are from less than 2.5 to 12 m³/day/m; and for sandstones and sandstone schists are higher, often 25 to 80 m³/day/m. The schist-limestone series is often karstic: there are frequent sinkholes with disappearance and resurgences of surface watercourses. Specific capacity values range from less than 12 to more than 500 m³/day/m, but are usually between 24 and 120 m³/day/m. The highest yields are from fractures, such as at Mandji, where a 2 m thick fracture zone provided a yield of 770 m³/day for a drawdown of only 1 m. Lateritic cover can be particularly thick, up to 30 m, and must be effectively cased out in boreholes to prevent intrusion of poor quality water. Little is known of the aquifer potential of the Louila and Bouenza series, but it is likely to vary according to the facies, with higher potential in sandstones. Groundwater in the Mpioka series rocks typically has low to moderate mineral content (50 to 200 mg/l), with low pH of 5.5 to 6, and is of calcium bicarbonate or mixed calcium and sodium bicarbonate type. Groundwater in the schist-limestone series typically has a relatively high mineral content (total dissolved solids of 200 to 400 mg/l), and is of calcium bicarbonate type, with a pH of 7 to 7.5. Francevillian Middle Precambrian The Francevillian is a complex metasedimentary system. The main units consist of pelites, ampelites, sandstones, jaspers and dolomites. They generally have low aquifer potential, with average specific capacity values of 1 to 2.5 m³/day/m (pelites and ampelites); 1 to 12 m³/day/m (sandstones); and 2.5 to 30 m³/day/m (dolomites). The highest yields come from zones of contact between pelites and ampelites, and from fractured dolomites. Groundwater in the dolomites has the highest mineral content, at around 300 mg/l, and is typically of calcium bicarbonate type. Groundwater in the pelites and sandstones generally has low mineral content (less than 80 mg/l), and is also typically of calcium bicarbonate type, sometimes mixed with magnesium carbonate, and with low pH. Crystalline basement Lower Precambrian The granites, which comprise much of the crystalline basement rocks, have very low permeability. Groundwater potential depends on the degree of weathering. Specific capacity values are typically less than 12 m³/day/m. In the most favourable areas, successful boreholes have specific capacities of 25 to 20 m³/day/m; but in the least favourable most boreholes have specific capacities of less than 1 m³/day/m. Groundwater often has a relatively high mineral content, with total dissolved solids between 200 and 550 mg/l. Many of Gabon's aquifers appear to have the potential for further development, both for rural and urban water supplies. 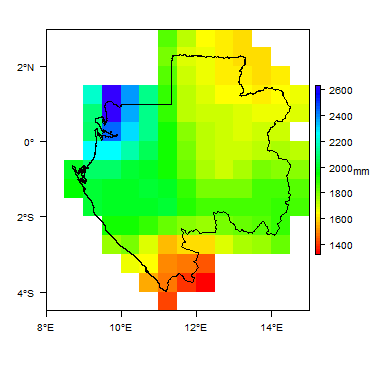 Groundwater from most aquifers in Gabon is of good quality, particularly at deeper levels - shallow groundwater often has a high iron content, as well as being more vulnerable to contamination. Many coastal cities use groundwater, including Libreville and Port Gentil, from a number of aquifers including Quaternary sands at Port Gentil, and Jurassic and Cretaceous sedimentary aquifers in Libreville. Many of the main interior centres used to use surface water, but groundwater has replaced or supplemented this in some places. A programme of drilling rural water supply boreholes took place from the 1970s. Across most of the country, these rural water supply boreholes have low yields, but sufficient to meet local demand. CIEH/BRGM. 1982. Notice explicative de la carte de planification des ressources en eau du Gabon et du Congo. Serie hydrogeologie de Comite Interafricain d'Etudes Hydrauliques (CIEH), 116 pp, Ouagadougou, Burkina Faso. Collignon B and Ondo C. 2017. Managed Aquifer Recharge (MAR) to Supply Libreville, a Water-Stressed City (Gabon). In: Renard P and Bertrand C (eds), EuroKarst 2016, Neuchâtel. Advances in Karst Science, Springer, Cham. Pedersen K, Arlinger J, Hallbeck L and Pettersson C. 1996. 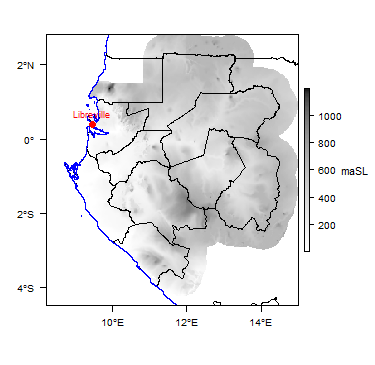 Diversity and distribution of subterranean bacteria in groundwater at Oklo in Gabon, Africa, as determined by 16S rRNA gene sequencing. Molecular Ecology 5 (3), 427-436. Doi: 10.1046/j.1365-294X.1996.d01-320.x. The reference list in the UN report provides other sources of information, although none are more recent than 1984. This page was last modified on 18 February 2019, at 12:02.